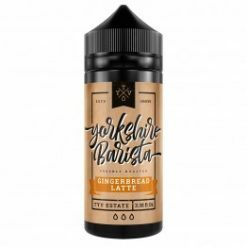 The Yorkshire Vaper is a family run business out of Leeds, West Yorkshire. Dale, owner of The Yorkshire Vaper, started the business on a small budget in February 2015 with the sole purpose of helping people to quit smoking and the passing years have seen it grow into something very special. Every product we manufacture is designed and created by The Yorkshire Vaper team and are unique to our company, we do not white label or re-label other companies products with our own branding.Each of our products are made with the utmost care and tested to the highest of standards with only the highest quality ingredients.